SpartanNerd’s list of greatest video games! Following is a list of the SpartanNerd’s most influential games. These games are always with me! I never seem to forget many details of a good game. CAN YOU NAME THE AREA? Super Mario Bros.– Did you really think this list was going to start with a different title? SMB is just about etched onto my soul. I wasted hundred of hours playing this game as a kid. And its true sequel in my heart has always been Super Mario Bros. 3. I still think SMB 2 is a good game, just not of the same “quality” as the other two. And the game CARTRIDGE was gold! Low rez turtle. High rez fun! Teenage Mutant Ninja Turtles– This game is just HARD. I have beaten it several times. But I have lost plenty of times as well. There are jumps that are almost impossible to pull off, then by the time you get to the airport, your turtles are getting beaten, and there are instant kills everywhere. Then the epic Foot Clan headquarters, where you fight your way through underground tunnels, probably unnecessarily, because the Technodrome appears in a RANDOM LEVEL. If you beat all this, the Technodrome inside has truly tough enemies, and you are forced to take damage from them in small (albeit colorful!) confined spaces. If you make it to shredder, two physical hits will kill you. And if that ray gun hits you, too bad. The games that came after this one were good, and great for multiplayer fun, with far superior graphics and characters recognizable from the cartoon. But not the same epic difficulty of this one. 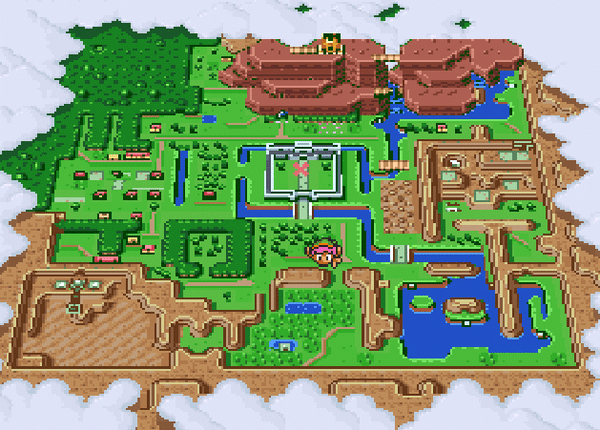 I remember using a map like this a lot in Zelda: A Link to the Past. 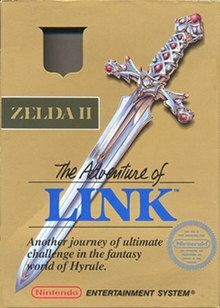 Zelda: A Link to the Past- I played through this one in college using a walkthrough during break time between studying. I loved it! Not as old-schoolish as the NES games, but still full of interesting side-quests. And great graphics as well! 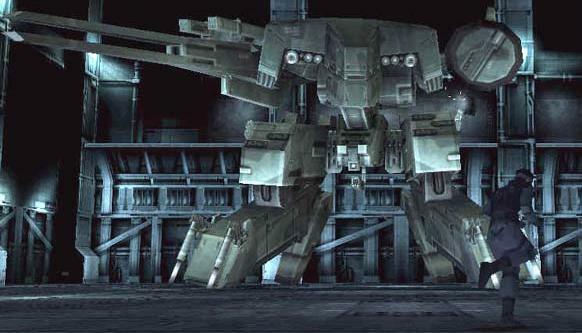 Metal Gear Solid– This awesome game is one of the first “stealth” games I played. You pretty much have to stay hidden from the enemies…and there is a fair amount of strategy to this…You can even catch a cold! (“Where is he? ACHOO! “Shoot to kill!) Then you get a big boss fight at the end…And a plot twist. Wow! Also, one of the most interesting mini-boss fights is against the Psycho-Mantis, where you can’t hurt him at all. You have to unplug controller two, plug controller one in its slot, and then you can bypass Psycho-Mantis’s powers! 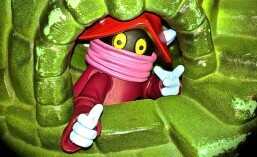 NO PICS OF THESE LAST TWO…DON’T WANT TO SCARE THE KIDDIES! Mortal Kombat II– You saw that, right? The roman numerals…made it more epic! MK2 is my favorite of the early Mortal Kombat games…It had the same rusticness of the original, but more or less doubled the fantasy material. More characters, levels, and finishing moves. I beat MK1 at the arcade…But never MK2. I have only beaten that on a console. MK3 is a joke to me. And the modern MK games are fun, but just aren’t the same as the originals. God of War 2– I guess I see GOW and GOW 2 equally. I think they are great! Kratos is such an awful character, you can’t help but follow him. It’s kind of like Conan the Barbarian, or Breaking Bad. Kratos chain swords weapons are perfect for hacking and slashing, and that is something else to love about these games. They use a modern template, but have laced in SNES-style sensibilities. The bosses are tough. The puzzles are confounding. And you want to know what happens next. I don’t have a PS3 or PS4. But if I ever get one, I guarantee I will complete the trilogy. I have played these games on the hardest levels and beaten them, to where I have leveled Kratos into a God of War for real. If only I could have my Kratos take out your Kratos, that would be perfect! So there you go! The SpartanNerd’s favorite games. If I get a lot of hits, maybe more lists will come in the future. This is my 75th post. Thanks, readers! This entry was posted in Cloud, Final Fantasy VII, game, God of War, Kratos, Metal Gear Solid, Mortal Kombat, Super Mario Bros, Video Game, Zelda. Bookmark the permalink. ← SpartanNerd Blog….right at 2100 pageviews!